I carved these little irises after I’d been struggling to get the colour in water-colour. Why struggle, I asked myself, when the colour is right there in the lapis. 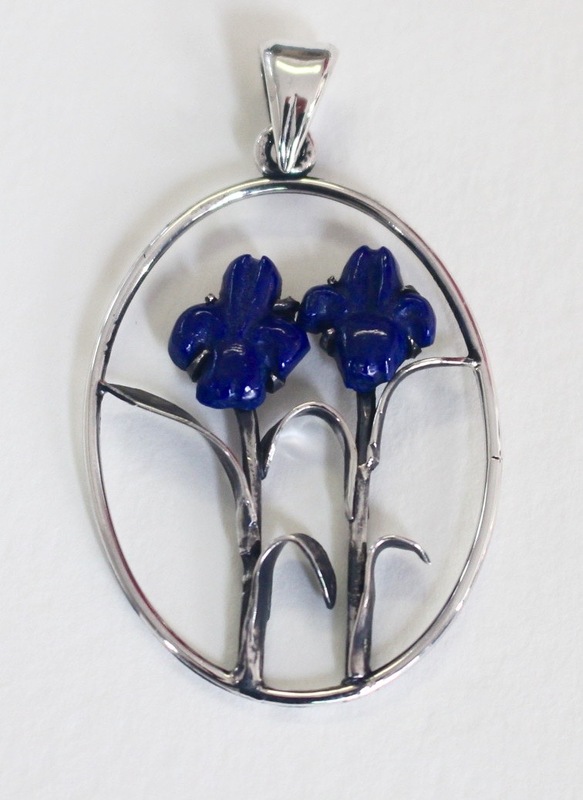 Pendant: Irises; silver, lapis lazuli.